OLE SWING presents one of the most original, exciting and personal projects of Spanish popular music in recent years. The challenge, to find the seemingly imposible nexus between two territories so close and yet remote at the same time: Spanish Popular Music (Copla, Classical and Folklore) and the sparkling French Gypsy Jazz of the interwar period (also known as “Jazz Manouche”), that the whole world came to know through the colossal figure of the gypsy guitarist of French-Belgian origin Django Reinhardt and his mythical Quintette du Hot Club de France. In 2012, the group presented, on the Youkali Music label, their first album, “Swing Ibérico”, which was very well-received among the specialized critics, the general public and main media outlets. During 2013 and 2014 they carried out an intense promotional campaign and performed numerous concerts in different venues, festivals and important Jazz clubs. In 2015, again on Youkali Music, they released their second album, “Sueño Gitano”, an extraordinarily captivating work that exceeded the best expectations – already very high – created between music critics and the many followers of the group. From Madrid, lover of flamenco fusion and great fan and connoisseur of Gypsy Jazz. Guitarist of deep jazz spirit, he was part of the “Orquesta Nacional de Jazz de España” of Spain in its “Sexteto de Solistas” version and has shared projects and stages or has collaborated with leading figures such as Ray Heredia, José Antonio Galicia “Gali”, José Quevedo “Bolita”, Tito Duarte, Eva Durán, Nono García, José Luis Montón, Jerry González and Antonio Serrano, among many others… He is currently immersed in the performances and the making of the third album of OLE SWING, a group of which he is the co-founder. 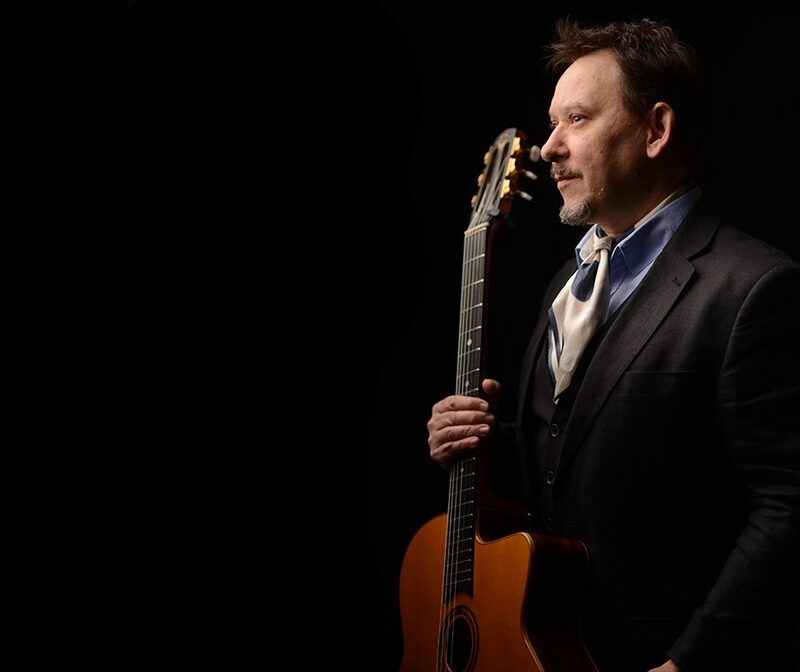 Besides that he also plays Banjo and Guitar in the Traditional Jazz combo M4D (Mad Four Dixie Club Band) and several other Swing and Jazz Manouche projects. Born in Almería, at the age of nine he entered the Royal Conservatory, beginning his studies in Music Theory, Harmony and Classical Guitar. Guitarist and producer endowed with versatility, creativity and unmistakable sound, he has recorded and/or played with leading artists of the most diverse styles such as Jorge Pardo, Antonio Serrano, Jerry González, Antonio Orozco, Javier Gurruchaga, Txetxo Bengoetxea, Antonio Carmona, Pasión Vega or David Bisbal among others. Two solo works, “Grooves” (Youkali Music, 2005) and “Bautizao con Manzanilla” (Youkali Music, 2009) opened the way to a new creative stage that started in 2012 with the creation of OLE SWING and its acclaimed debut “Swing Ibérico”, which was confirmed and established in 2015 with the release of its successful and popular follow-up, “Sueño Gitano”. He currently combines his work as a teacher and performer with numerous and varied collaborations in all types of musical projects. Violinist, arranger and pedagogue, he begins his education studying and graduating as a Senior Professor of Violin at the “Real Conservatorio Superior de Música de Madrid”. He specialized in modern and ethnic violin studying in Great Britain, France and USA and he received his degree from Berklee College of Music. 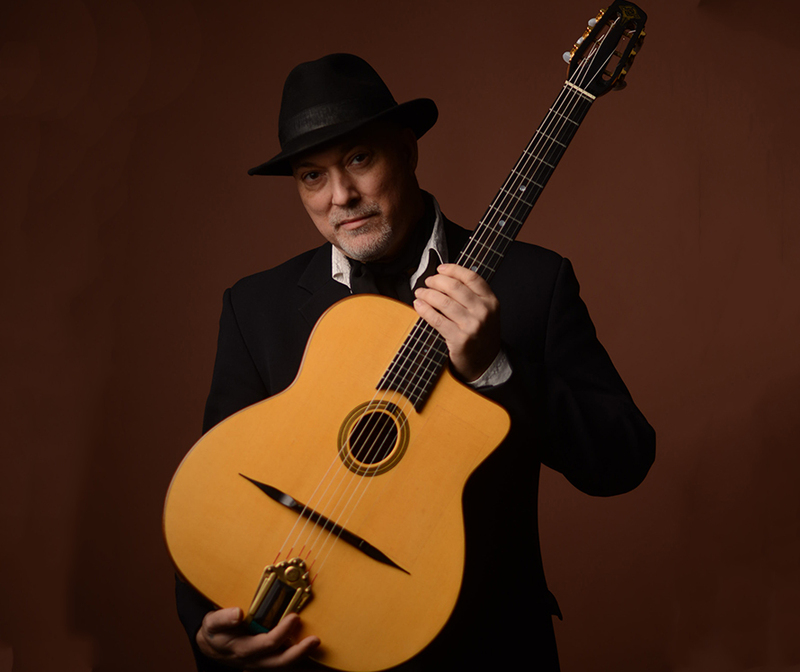 He has participated in multiple tours and record productions as a soloist and arranger with artists such as Pasión Vega, Celtas Cortos, Mónica Naranjo, Ismael Serrano, El Sueño de Morfeo, Rojas y Rodríguez, Diana Navarro and Miguel Ríos among others, with whom he has toured on all continents. 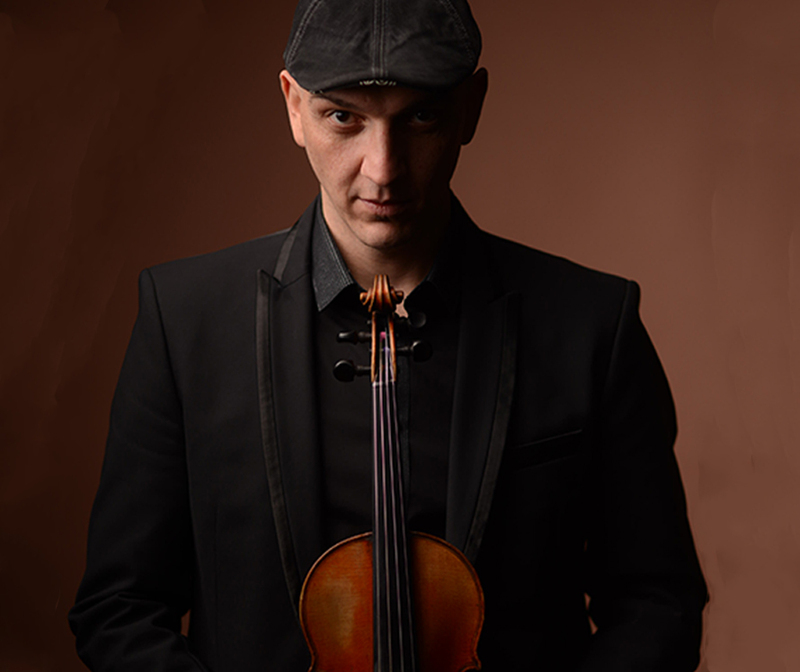 Currently and in parallel to his artistic activity, he teaches master classes and modern music training courses in conservatories and teacher training centers throughout Spain and is a pedagogical coordinator and professor of classical and modern violin at the “Escuela Municipal de Música de Tres Cantos”. 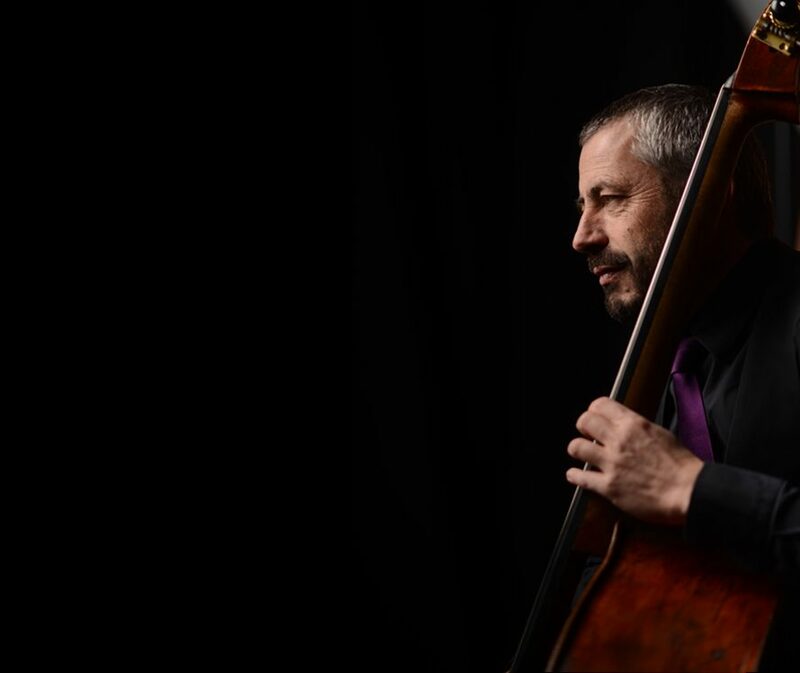 A born researcher, he has been developing and investigating the inclusion of the double bass in Flamenco for more than twenty years, giving it a totally personal style. Requested session musician for great artists of Jazz, Flamenco, Pop and World Music, he has worked with artists such as Barbería del Sur, Antonio Canales, Carmen Linares, Joaquín Cortés, Estrella Morente, Donna Hightower, Pitingo , Diego “El Cigala”, Enrique Morente, Pasión Vega, Montse Cortés, Amir John Haddad, Joaquín Ruiz and Ismael Serrano (among many others), showing his talent on the five continents and leaving his mark on some of the most important records of Spanish Popular Music in the last two decades.